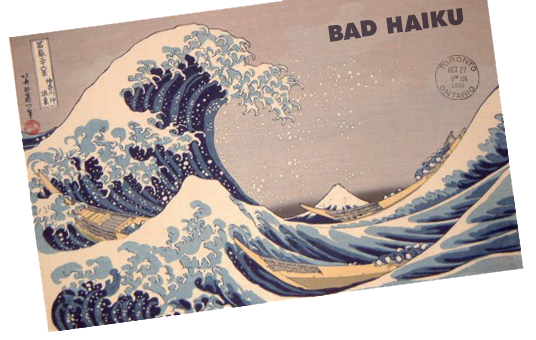 bad haiku rocks on ! In the end that's all it is. We'll all drown in it. A new gnu knew anew a gnu named Noo. It made the news. I am just being silly. I know just one thing. for the sake of "more". Haiku #57622, by Darth Figpucker of I wish that God existed so that I could pray to him to allow me to be more evil. Year by year I watch. I see the oceans dying. Millions of species are gone. take a pew! pew! pew! Today's secret word is "stoned". Hamburger Cheech & Chong scene.